It's Administrative Professional Day (formerly known as Secretaries' Day). We all know who REALLY runs the school around here, and it's these fine ladies. Their dedication to Westview and our students is AMAZING! Thank you, ladies! You are appreciated! 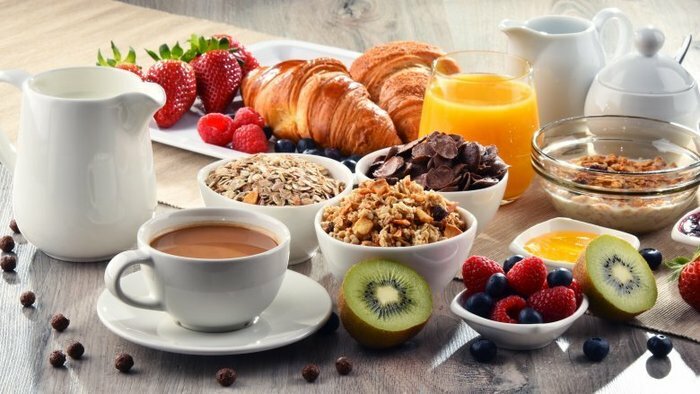 Senior Parents: The SENIOR BREAKFAST will be on May 29, and we need of a tremendous amount of help from you. If you would like to contribute, please contact Juanita Yoder at 260-350-2566. 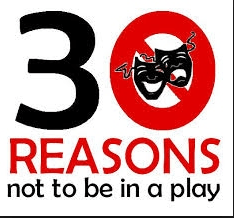 The spring play “30 Reasons Not To Be in a Play” will be performed April 26 (7pm), April 27 (7pm), April 28 (2:30pm). Tickets can be purchased at the door for $5. LOOK WHAT'S COMING!!! Westview School Corporation will receive two cents for every gallon of gas pumped from the WESTVIEW GAS PUMP at Miller's Super Valu in LaGrange. Fill up your vehicle and help support our schools! HS Grade Recovery in room 305 from 3:40pm - 5:00pm today. Student Handbook correction - May 9, May 10, and May 30 school will be in session. (No Professional Day or Snow Days). Our last day of school will be June 3rd. 7th grade students interested in applying for LIFE: Applications along with recommendation letters are due today. They can be turned in to Mrs. Bender in room 129 or Mrs. May in the guidance office. Seniors: the FAFSA deadline is TODAY. If you have questions see Ms. Stidham or Mr. Yordy. The 8th grade promotion ceremony will be on the last day of school (June 3) at 1:30 pm. Doors will open at 1:00 pm. 8th grade students going on the Washington DC trip can pick up a room assignment form from Mrs. Eash’s door today. Also, please turn in your medical forms to Mrs. Eash by the end of this week. Our HS Spring Academic Awards is moved to Wednesday, May 1st in the Wilson Auditorium. Senior Scholarships at 6:30pm. Intermission 7:15pm-7:30pm. All other Academic Awards will begin at 7:30pm. Sophomores: Remember that we finish up ISTEP testing in the next two weeks. We will be testing the Math portion on April 11 & 12 and English/Language Arts on April 17 & 18. More details and room assignments are posted on the Student Services windows. Have a safe Spring Break and we'll see you back on April 8! Students in grades 8 and up, who are interested in taking a DNR Boater Safety class after spring break, please see Mrs. May for a permission slip. The course will take place April 15-18 and it is FREE! 8th graders! Interested in joining archery club or at least learning more about it?? Come to the archery club meeting Monday (after spring break) in the small gym to see what we do and get more information. We are looking for new members. Seniors: We have extra graduation announcements available for $1.25 each in the front office. We also have tassels for $9.00, if you need one too. HS Grade Recovery in room 305 from 3:35pm - 5:00pm tonight. HS Spring Sport pictures are on Friday,March 22 after school. The softball scrimmage is cancelled for this afternoon (3/19). Attention Seniors: The senior survey will close next Thursday, March 28. If you have not had an opportunity to complete the survey, please make sure to do so this week. HS Grade Recovery today in room 305 from 3:40pm - 5:00pm. Midterms will be handed out during 7th period today. Coach Yoder has a information sheet for 7th grade girls interested in playing soccer. Stop by the athletic office to get one. Softball forms are in the athletic office for 7th and 8th grade girls. Jr. High Track practice starts today meet in the High School Cafeteria after school today. The high school winter sports awards program is Thursday, March 14, at 6:30 pm. It will begin in the auditorium with refreshments to follow in the cafeteria. High School: Are you interested in the military? Then consider attending Jim Banks US Service Academy Day. It will be held on April 27 in Fort Wayne. Juniors are especially welcome to attend and learn more about the nominating process into the academies. Look for the poster on Student Services on talk with Yordy. Daylight savings time change - move your clocks ahead one hour on Saturday night when you go to bed. Seventh grader student Hope Welsh will be participating in the Regional Spelling Bee tomorrow in Fort Wayne. Please wish her good luck at Regionals! Regional ticket sales end at noon today and there are less than 100 left. There will be an 8th grade IAFNR, or as we like to call it Ag/IT, parent open house at 6:30 pm tonight. 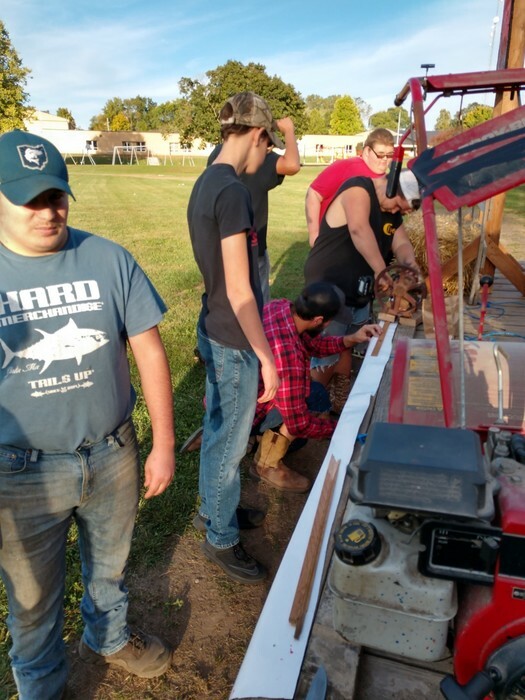 Please join us to see the projects your child has been working on in the shop, such as forestry, wood working, welding, small engines, and taxidermy. 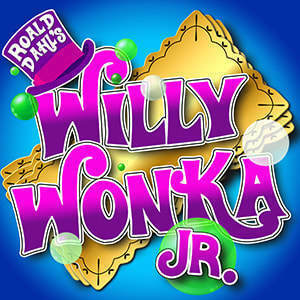 Any 7th or 8th grader, who would like to audition for Wonka JR, can see Mrs. Hamm for an audition packet. Auditions will take place March 25-26. The prep for this show takes place the first two weeks of June with a performance on June 14. GO WARRIORS! 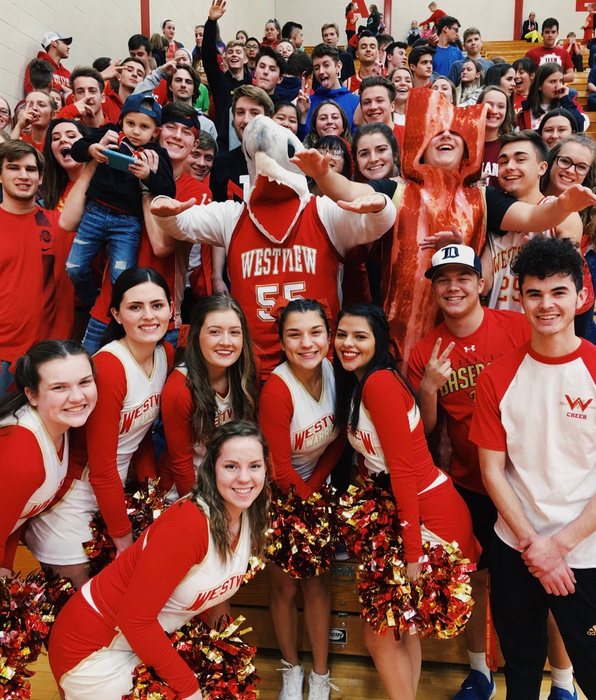 WE ARE WESTVIEW! Auditions for the spring play, "30 Reasons Not To Be in a Play", will be held in the auditorium on March 5. Mr. Pruitt has preview scripts available to read. Performances are April 26th, 27th, & 28th. We are saddened to learn of the loss of KeShawn Smith, a senior at Bethany Christian. Our thoughts and prayers are extended to everyone in the Bethany Christian community and to KeShawn’s family. May he rest in peace. 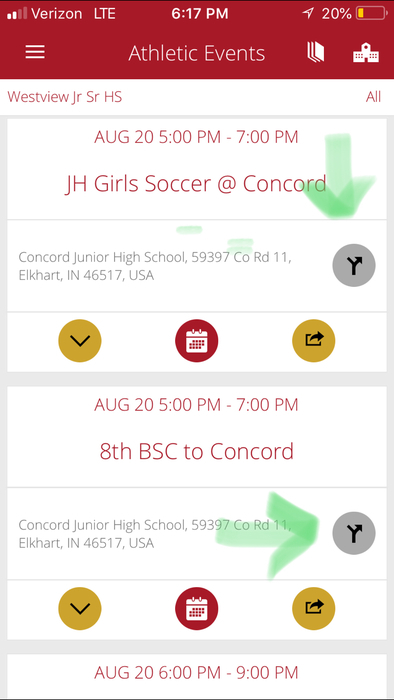 The link for anonymous reporting can now be located on our app! HS Grade Recovery in room 305 from 3:40pm -5:00pm tonight. March 4th - HS & JH golf call out in old gym. Spring sport athletes.... PLEASE MAKE SURE YOU HAVE A PHYSICAL ON FILE. If not, now would be a GREAT time to have one done. 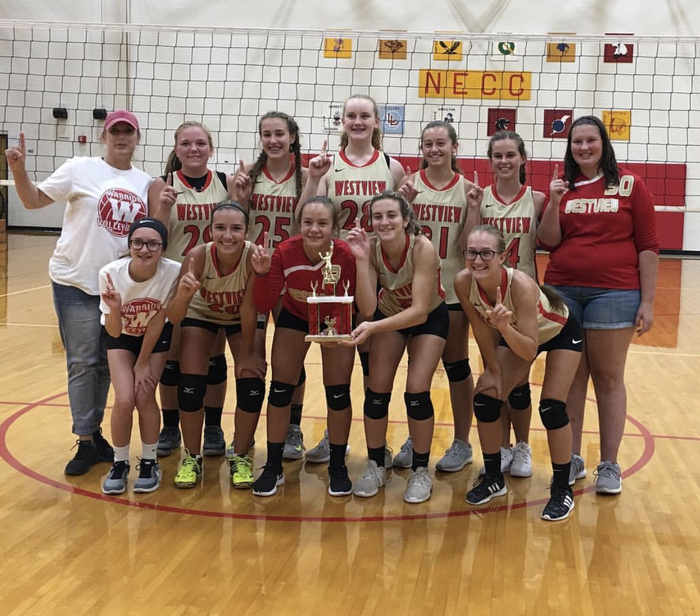 8th grade girls that did not go to the call out yesterday for volleyball may still sign up in the athletic office. JH Grade Recovery in room 221 from 3:35pm - 5:20pm today. JH girls 7th & 8th grade girls basketball games with West Noble have been cancelled. You do have practice. SENIORS: You have 10 days to get your baby picture and senior picture uploaded to the Class of 2019 Google Classroom page. Don’t just mark it done. 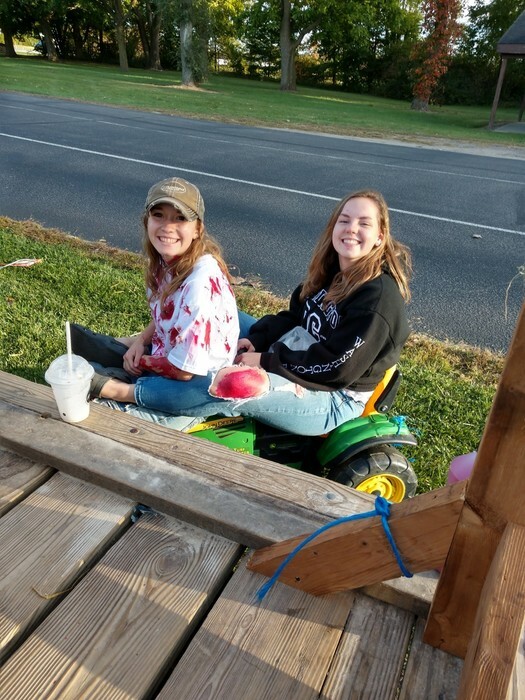 You have to actually attach the pictures that will be used in the video at graduation.If you have trouble, see Mrs. May, Mrs. Cowley, Mrs. Hales, or Mrs. Manns. GET 'ER DONE! JUNIOR GIRLS: Purdue is hosting a Women in Engineering program on April 8, at the West Lafayette campus. This is a great opportunity, so don't let it pass by. More information on the Student Services bulletin board. Did you know WV has an anonymous reporting form on our website? If you need to report something (bullying, a school safety issue, a friend is self-harming, etc.) but are afraid to come forward, please visit our website and click on the menu tab. All reporting is anonymous! Boys basketball sectional ticket packets will go on sale tomorrow at the Fremont game. The cost for the packet is $10.00, which includes admission to all games. A ticket for a single game is $6.00 at the door. Reminder: School WILL NOT be in session on Friday, February 15, due to a professional development day for staff. We will have school on February 18. The Media Center will close at 3:30pm on Thursday. We will not have after-school hours. Please plan accordingly. UPDATE: A new game was just added to the boys basketball schedule. 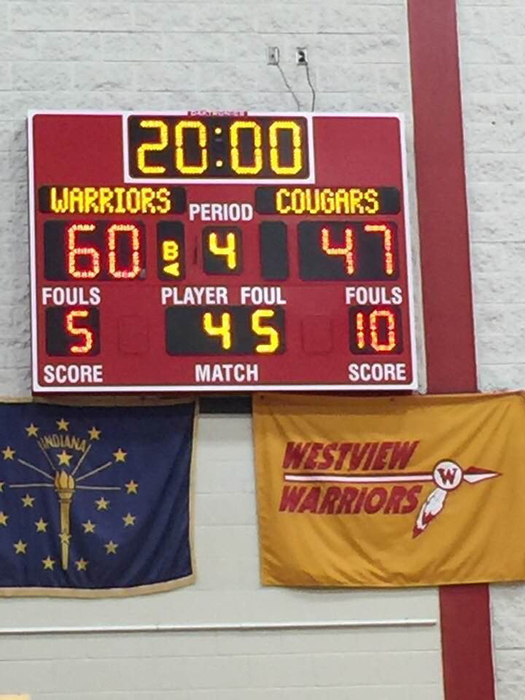 There will be a HOME GAME tomorrow night (Wednesday) against Gary Roosevelt. JV will start at 6:30pm with varsity to follow. GO WARRIORS! As of 10:30am, a decision about tonight’s basketball game at Wawasee HAS NOT BEEN MADE YET, but JH basketball and wrestling has been cancelled. Basketball game updates will be posted as soon as a decision has been made. 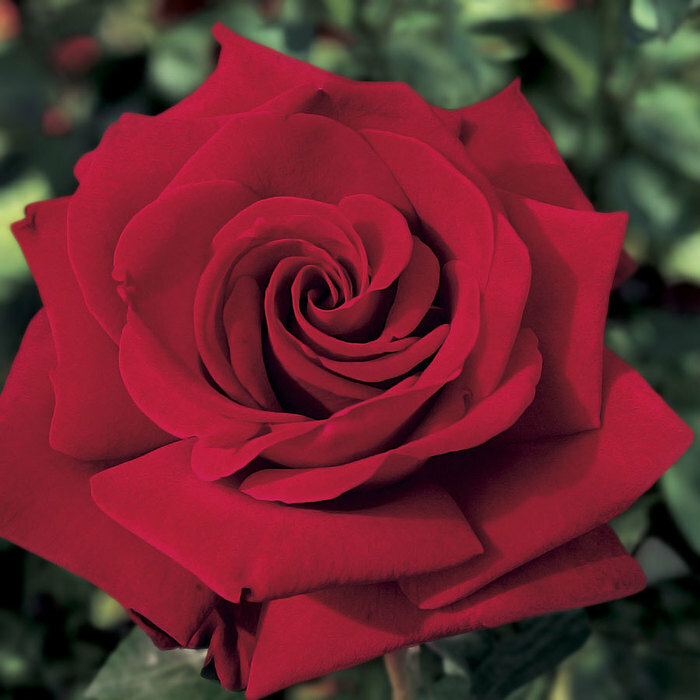 Student Council members will be selling roses during lunch if you’d like a to send a rose to your special someone. Roses are $5 each. MIDTERM REPORTS WILL BE SENT HOME TODAY WITH YOUR CHILD! HS students… Semi-Formal will be Feb 16th at 7pm. The cost to attend will be $10 per person. If you will be bringing a guest from another school, be sure to get a Guest Form from the office. These need to be approved by Feb 14th and returned to Mrs. Martin or Mrs. Jansen. 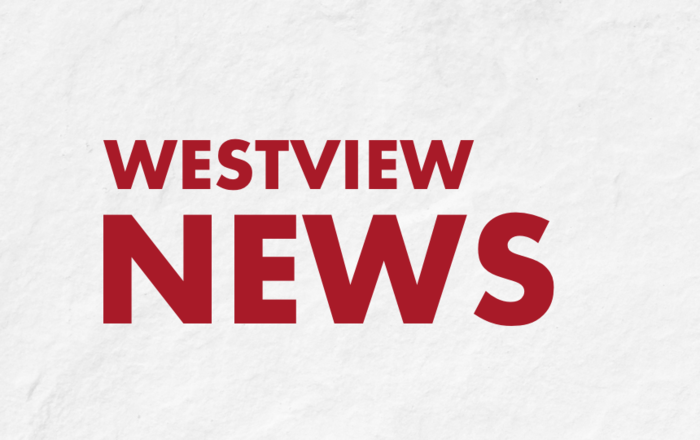 The Winter Academic Awards will be on Tuesday, February 19, between the Westview JV and varsity games. The awards are based on CUMULATIVE GPA, which is calculated on SEMESTER GRADES only. IMPORTANT SENIOR INFO: If you have not ordered your cap/gown, or have not paid for them, you need to do this ASAP. March 18 is the delivery day!!! If you have any questions, please see Mrs. Cowley. Due to the missed days of school this week, mid-term grade reports will go home next Friday (Feb 8). The date for the end of the 9 weeks will remain the same (March 8). Please wish 7th grade student Hope Welsh good luck as she will be competing at the Lagrange county spelling bee next Tuesday here at Westview! Congrats to the WV students who performed at Vocal/Piano ISSMA. 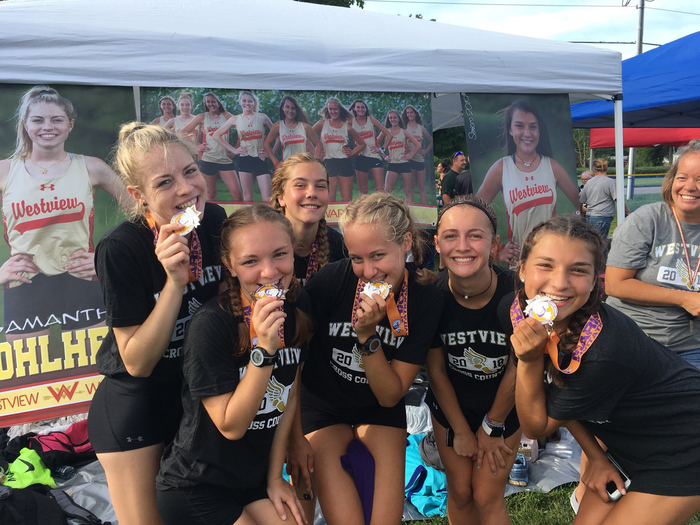 Westview earned 22 gold medals and 1 silver medal. A HUGE shout out to the students moving on to sing at the state level: Hannah Mast, Jenaiyah Keeslar, Lindsay Stoltzfus, Patience Steglich, and Rosamaria McMahon. Tonight JV/Varsity Boys Basketball at West Noble game has been cancelled. 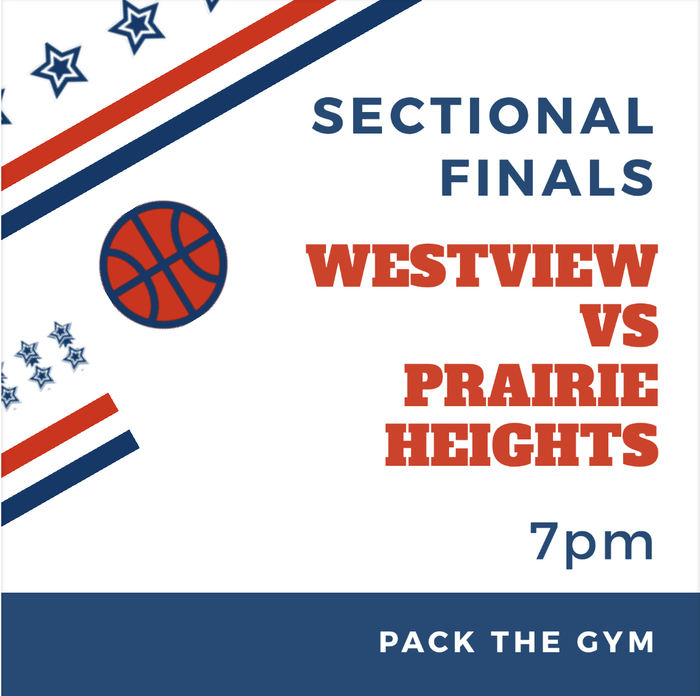 It has been rescheduled to February 6th at West Noble. Tonight’s boys basketball game against WN has been moved to February 6. All JH athletic events have been cancelled for today. No word yet on tonight’s boys basketball game at WN. The girls basketball sectional game against CN has been moved to Friday at 6pm. JH girls basketball and wrestling has been cancelled today. Wrestling Sectionals will be held at Westview tomorrow. Start time is 9 am. GO WARRIORS! ALL locker rooms will be in use on Saturday for wrestling sectional. Make sure your lockers are locked & nothing is left out. Honor Roll is posted on the window in Student Services. Please check it out. If you’re not on the list and think you should be, see Mrs. Klaassen. HS Grade Recovery tonight at 3:40pm - 5:00pm in room 305. The Westview Cafe will be open from 7:40am - 8:00am at the concession stand on Friday. Reminder: If we have a 2 hr delay on a Monday, school will start at 10:15 am, not 10:45 am. Please remember to drop students off and pick them up on the south end of the building by the auditorium/gymnasium doors. For student safety, the front doors are for school buses ONLY. Thank you for your cooperation! On Friday, the Whippin' Warriors jump rope team will be performing during halftime of the boys varsity basketball game. Due to their performance, there will not be a 3 point shootout at halftime. ISSMA and The Miracle Worker practice has been canceled tonight. The JH girls basketball game at Lakewood is cancelled today. The teams will practice at Meadowview instead. There WILL BE school on Friday, January 25, to make up for a snow day. The Garrett boys basketball game is rescheduled for Tuesday, January 22. On Friday, the Whippin' Warriors will be performing during halftime of the varsity boys game. Come support your warriors! Tonight’s boys basketball game against Garrett has been postponed until Tuesday, January 22. 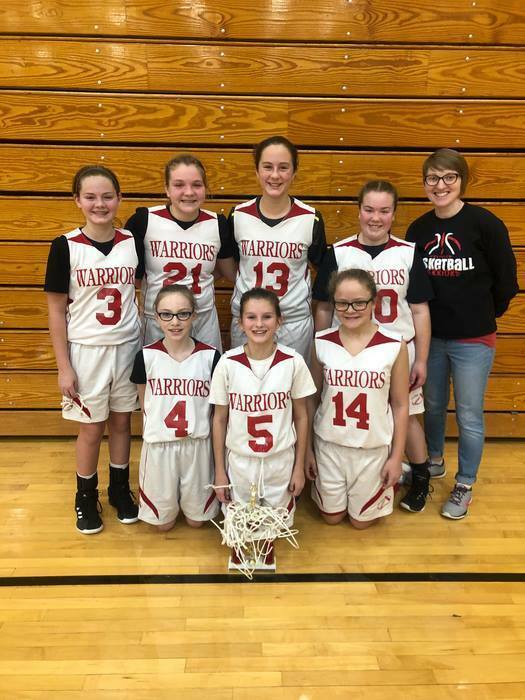 Saturday's JH girls basketball tournament at Lakeview has been canceled. SOPHOMORES: We need more help for concessions on January 26. Please sign up in Student Services today. 8th Boys basketball: Your uniforms are to be turned in by this Friday. Parents: Report cards will be handed out today during 7th period. Please review this with your child. Attention Class of 2018 and 2017: After you have completed one semester of college, you are eligible for the Westview Scholarship. You can request a form from the office if you no longer have your application. JH Girls basketball & JH wrestling pictures after school on Wednesday (tomorrow). Have your form & money with you. Friday: There will be NO AFTER SCHOOL FITNESS CENTER HOURS for students. Students not training with their coaches should go home after school. Yearbooks, we have extended the time to purchase a yearbook until the middle of February. The forms are in the office , this cost is $55. There will be High School Grade Recovery tonight in room 305 from 3:40pm to 5:00pm. Junior High Grade Recovery in room 222 from 3:35pm to 5:20pm. Miracle Worker rehearsal:There is NO PRACTICE today. JH wrestling has been canceled for tonight (Jan 10). HS Students: Wednesday, January 9, is the last day to make schedule changes. Students are reminded to pick up their second semester schedules from their CCR teacher BEFORE first period on Monday. WELCOME BACK, WARRIORS! Today is the last chance to get your tickets for the Hall of Fame Classic and pay $10 rather than $20 at the door. GO WARRIORS!! Dec. 27th - 11-1 Enter Auditorium/Gym and go to Junior High gym. JH wrestling practice will begin on Monday, Jan. 7th after school. You must have a completed physical turned in to the athletic office before you can practice. Don't forget to wear your ugliest holiday sweater on Friday for National Ugly Christmas Sweater Day! Freshman can order class hoodies all week. The link to order was sent last week to your school email. Theatre Opportunities: Are you interested in a day long comedy workshop with comedian John Branyan on December 15th? Please let Mr. Pruitt know ASAP if this event interests you. There are Early Bird discounts available for the events. Attention Seniors: If you did not place your order for a cap and gown and need help, please see Mrs. Cowley in room 308. The deadline to order is December 14th (one-line 12/15). HS Students: If you are interested in getting paid to work basketball concessions, please see Mrs. Klaassen in Student Services. Wish your friends a Merry Christmas by sending them a candy cane gram. JH student council will be selling candy canes for 50 cents during lunch until next Friday. All candy canes will be delivered during 7th period on Wednesday, December 19. If you are missing something, please check the lost and found located in the stairway by the front office. The left over items will be delivered to the Clothes and Food Basket during Christmas break. Winter Play Auditions for "The Miracle Worker", the Helen Keller story, will be Thursday, Dec 13 and Monday, Dec 17, in the auditorium at 3:35 pm. Students are invited to come to one or both days. See Mr. Pruitt if you want to borrow a script before auditions. The wrestling meet with Triton on Thursday is cancelled, as is the HS wrestling meet with Howe on Dec. 10. Students can still order yearbooks for the 2018-2019 school year until December 21st. The cost is $55.00 and forms are in the front office. HS Grade Recovery is canceled for tonight. 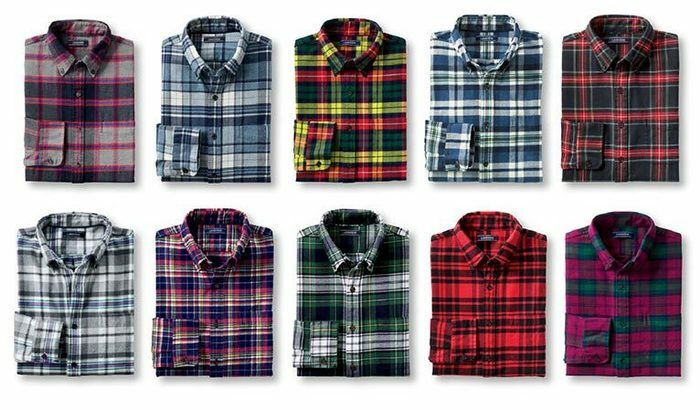 Tomorrow is a school wide FLANNEL DAY!!!! Congratulations to our Student Ambassadors for November. They are: Leon Raber, Colton Marchant, Brian Titus and Adam Adamczyk. SOPHOMORES: We need help with basketball concessions on Saturday, December 8. Please sign up in Student Services. Attention Seniors: If you did not place your order for a cap and gown and need help, please see Mrs. Cowley in room 308. The deadline to order is December 15th. Theatre Opportunities: Are you interested in a day long comedy workshop with comedian John Branyan on December 15th? Do you want to attend the Indiana Thespians State Conference in Indianapolis in January 2019? Please let Mr. Pruitt know ASAP if either event applies to you. There are Early Bird discounts available for both events. The Westview Jump Rope team will have its first performance next Tuesday, Dec. 4th, during halftime of the girls varsity basketball game. Come out and support the team! The Music Department Winter Concerts have been rescheduled for Wednesday, December 5. JH will start at 6pm and HS at 7pm. November 15- High school grade recovery has been canceled for tonight. Midterm report cards will be sent home today! Please review this with your student and contact us with any concerns. The Warrior Wardrobe -Do you have clothes in good condition that you never wear? Clean out your closet and donate clothes to your fellow warriors. All sizes and types of clothing welcome. Drop off in Mrs. May’s office. Clothes must be washed and in “like new” condition. SENIORS: More scholarships are here: Ceres (4H or FFA, $1000); Indiana State University (Gongaware, full tuition); LaGrange County Soil and Water (agriculture or conservation, $500); Richard Lugar Minority Scholarship ($4000 - $20,000). See YORDY if you have any questions. Jump Rope Team practice starts on Monday, right after school! Congratulations and Good Luck to Kaitlin Cupp and Ethan Hibbs for being selected to the IBA All-Region Honor Band! These two will be rehearsing all day tomorrow before performing with students from all over our region in a concert on Sunday at Dekalb High School. 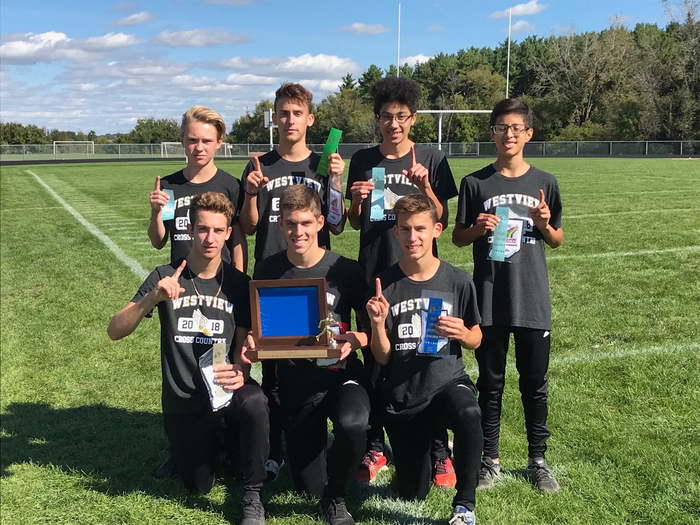 HS Boys track call-out grades 9-12 on Monday 11/12 during activity period. Winter sports pictures are Friday after school. If you are interested in archery club, there is a meeting during activity period on Monday. Participants must turn in a permission slip to participate and you can stop in Mrs. Duff's room to pick one up. The club is open to students grade 9-12 at this time. JH students, don’t forget the 1st dance of the year is on Friday (tomorrow) after school in the cafeteria. The cost is $3 & tickets are purchased at the door. The dance ends at 5:20pm, so please have rides arranged in advance. Congratulations to Hope Welsh for winning the junior high spelling bee in 8 rounds by spelling the word “conquering” correctly! She will move on the county spelling bee which will be held in January. Linda Mullett was this year’s runner-up! Any high school student interested in being on the jump rope team should see Mrs. Eash for a form. If you want to be on the team, please return the form and your money for a rope by Monday if possible. Practices will start NOVEMBER 12th. NHS members needing to get service hours can help at the Topeka Elementary Chilli Supper on November 10th or the Science Central Fair on November 21st. Please sign up with Mr. Cory. NHS’s annual food drive will be from Thursday, November 1st through Wednesday, November 14th. This year it will be a competition between 1st period classes. A list is posted for needed items. All donations will be delivered to the Clothes and Food Basket of LaGrange County. Seniors: If you missed the grad meeting yesterday, there are extra Josten graduation order packets in the office. Our order day is during lunch on Thurs, Nov 15, in the concession stand area. If you have any questions, please see Mrs. Cowley in room 308. JH Grade Recovery tonight in room 214 from 3:35 pm - 5:20 pm. 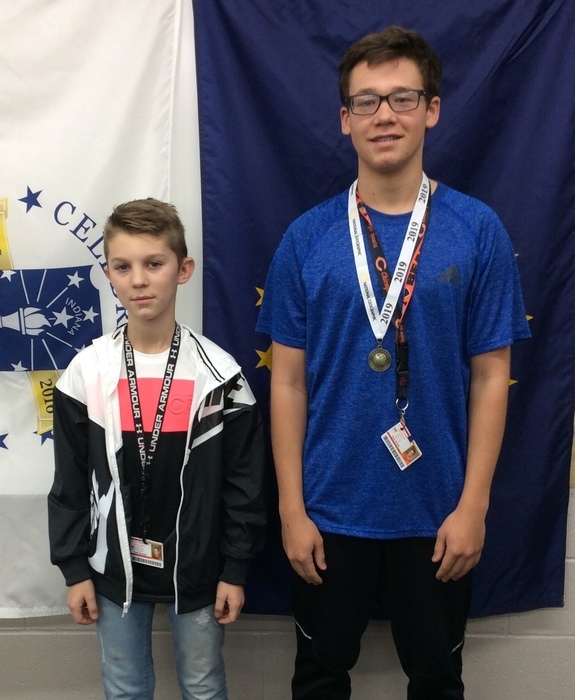 Congratulations to our October Student Ambassadors. They are Darrion Thornburgh, Kayle Bolling, Chelsea Weaver, Alex Rial, and Nicholas Rensberger. Your picture will be taken during activity period Monday in the front foyer. The junior high dance is next Friday, November 9 in the cafeteria from 3:30pm-5:20pm. Tickets are $3 and can be purchased at the door. If you are an 8th grader who still wants to sign up for the Washington DC trip, you may still do so but you will be placed on the waiting list at this time. Please see Mrs. Eash with questions. The Warrior Bookstore is now selling Westview water bottles for $4.00. Stop by in the morning and check out what the bookstore has to offer. We have 3 new scholarships in THE BIN in Student Services. They include: Jane George Scholarship Essay (mental health career, $750); the B Davis Scholarship (1000 word essay on leadership, $1000); and the Knights of Pythias (3.0 GPA or higher, $1000). We also have a booklet on the many Purdue Fort Wayne scholarships. SENIORS: If you haven’t already signed off on your graduation name, please stop in Student Services. We have a treat for you! Cheerleaders will be selling basketball t-shirts during lunch A and B . Money must be turned in when ordering . Short sleeve shirts are $10.00 (+2.00 or 2XL or larger), Long Sleeve shirts are $15.00 (+2.00 for 2XL or larger). Orders are Due November 2nd. Junior high students can pick up forms and turn the money in the front office. We will have JH Grade Recovery from 3:35pm - 5:20pm in room 222 tonight. We cordially invite JH parents to attend Parent Shadow Day on November 1. If your child is in 7th or 8th grade, and you would like to spend the morning shadowing your son/daughter, please RSVP to records@westview.k12.in.us or call Jennifer K. at 260-768-4146. Parents are welcome to eat lunch with their child, as well. Any high school student interested in being on the jump rope team should see Mrs. Eash for a form. If you want to be on the team, please return the form and your money for a rope by Monday if possible. 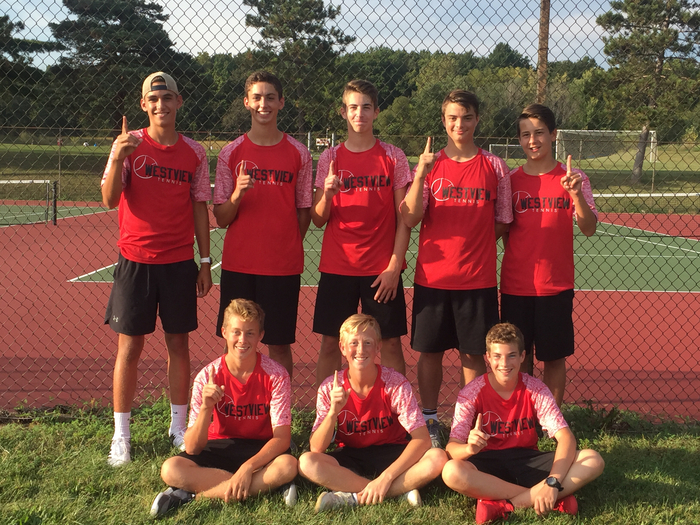 Practices will start in early November. Friday - Warrior Cafe open at 7:45am. Junior High Students: Please remember to bring in your Parent Shadow Day forms. HS Wrestling practice begins on Monday, Oct. 29. Make sure you have a physical done. Next Monday, the 22nd, there will be a meeting for ALL 8th graders in the auditorium during activity period regarding the Washington DC trip. All 8th graders should be in attendance. Our WHS musical “Grease” will be performed November 2 and 3 (Friday-Saturday) @ 7:00pm and November 4 (Sunday) at 2:30pm. Tickets are $8 each and can be purchased in the office. We are in need of volunteers to help out with this years Special Olympics Kick-Off event on Friday, October 26th from 6:00pm - 7:30pm! If you are wanting to help see Mrs. Oakley or Kelby Christner. No High School or Junior High Grade Recovery this week. SENIORS: Believe it or not, it’s time to start thinking about graduation! Please stop in Student Services to be sure we have the correct spelling of your name that will be used on your diploma. Juniors, today is the last day to turn in magazine sales. Please, please, please get them turned in today. Juniors - Friday is the last day to turn in your magazine sales. We need all of you to turn in what you have! Sales have not been great thus far… so we are hoping that you are just holding out till Friday. If you haven’t sold, get on it! There are still two mystery staff members just itching to give you a free ticket to prom! NHS is hosting a blood drive on Wed, Oct 31st in the JH gym. If you are 16 or older, you can donate blood. Students who are 16 need a signed parental consent form. Sign up for an appointment and pick up the needed papers in the foyer during A or B lunch or in the office during school hours. If you have questions, talk to Mrs. Harrington in room 130. Sophomores and Juniors: We have posted the list of students taking the PSAT on the Student Services’ windows. It will be given THIS WED morning. Remember to bring a pencil and calculator. Do not bring your cell phone! Please let Yordy know if your name is not on the list! 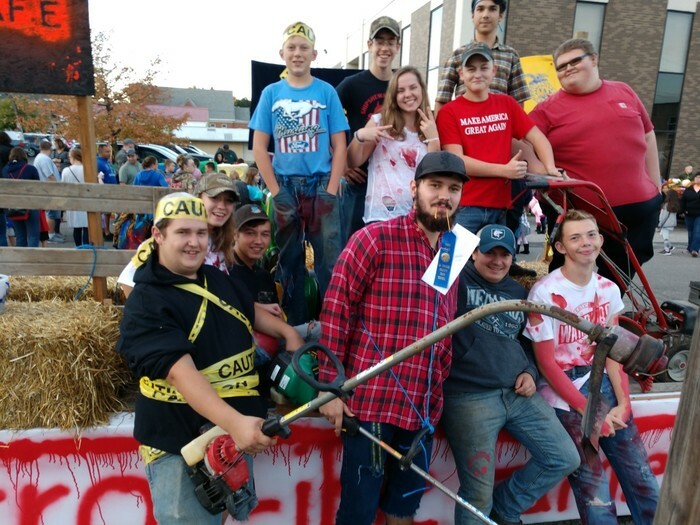 The annual Fall Festival will be this Friday at 6:30pm in the cafeteria. Our very own DS and Jazz Band will be performing, while the Art Department will be decorating, and running the raffle and concession stand. Bring your chairs or blankets to sit on for this fun evening! NO 7th grade volleyball practice today, but the game is still on for tomorrow. Both the 8th grade boys soccer team and the JH girls soccer team WILL NOT have practice tonight. Westview Elementary PLUS partners, there is a conflict with meeting with your mentees tomorrow (Wednesday). Please let Nurse Tara or Nurse Steider know if you can change your day this week to meet with your PLUS partner. Please check your student ID’s (correct spelling, picture, ID number). We are turning any incorrect cards in on Thursday to be updated. You can still order a yearbook for $55 for this year. The deadline is December 1st. The forms are in the front office. STUCO - you have until this Friday to order your T-Shirt. Please email Mrs. Jansen if you need the link again! NHS: If you signed up to visit Miller’s Merry Manor, please go to the Google Doc Mrs. Harrington sent out and choose your date. Notice the time change from what we originally talked about on Monday. See Mrs. Harrington if you have questions. Any 8th grade students who wants to attend the DNR Hunter Safety course next week, and did not receive a permission slip, please see Mrs. May ASAP. Permission slips are due this Thursday. There will be a jump rope team call out on Monday October 8th in Mrs. Eash’s room - room 208. Juniors and Seniors: Next week representatives from IU Bloomington and Indiana Tech will be visiting. If you are interested in meeting with them, please sign up in Student Services. Starting next week (Oct. 1) the cost of a new student ID will be $2. Dance call-out in Choir room at 5:30pm tonight. HS Grade Recovery in room 305 from 3:40pm to 5:00pm tonight. All locker rooms will be in use on Saturday. Please make sure your locker is locked. 7th grade boys soccer practice has been canceled tonight (Sept 25). Seniors: This is COLLEGE GO! WEEK. Some Indiana colleges have made their applications free for the entire week. Others will be free on Friday only. Don't miss out on this opportunity! Students: Checkout these college fairs in our area! Bethel College (SEPTEMBER 24), Goshen High School (OCTOBER 2) and Glen Oaks Community College (OCTOBER 9). More information on the Student Services bulletin board or talk with Mr Yordy. Juniors and Seniors: Huntington University and Hesston College (Kansas) will be visiting this week. If you are interested, please sign up in Student Services. Freshman: We will be collecting class dues in your English classes Thursday and Friday this week. You can pay $2 for this year, or $8 for all 4 years. Picture retakes will be on Thursday, October 4th. Attention junior high XC parents: All adults without sports passes will need to pay $3 to watch Thursday's JH cross country race. PLUS students: remember that starting today you will meet with your mentor students on Wednesdays! Weight Lifting Club sign-up this coming Monday during activity period in the MAIN GYM, students must sign-up each school year to be in the club. You may not workout under the Weight Club unless you sign up with Mr. Pippenger THIS YEAR. Midterm grade reports and school pictures will be distributed during 7th period today. Please review your child's academic progress and contact us if you have any questions or concerns. Open mat for HS wrestling on Tuesdays & Thursdays after school. Parents: Midterm grade reports will be handed out on Wednesday. HS Grade Recovery tonight from 3:40pm - 5:00pm in room 305. Juniors: you also need to turn in money ($5) for lunch at Trine to your CCR mentor along with your permission slip TODAY during CCR. Freshman & Sophomores: Please remember to bring lunch money for your college trips tomorrow. The Warrior Cafe will be up and running again on Friday! This will be at the concession stands again this year. Parents and Students: The A/C will be down all of next week, and the projected temperatures are in the mid-80s. We understand that it will be hotter than normal in the building, so students and staff should plan accordingly. THE DRESS CODE STILL APPLIES! We apologize for the inconvenience but we thank you for your cooperation. Grades 9-12: Your college visit permission slips should be turned in to your CCR Mentor by Monday. Juniors & Seniors: Next week we have Franklin College, Purdue Fort Wayne, Indiana Wesleyan and Anderson University. If you are interested in meeting with the college rep, sign up in Student Services. Grades 9-12: Your CCR college visit forms should be turned in to your CCR Mentor ASAP. Juniors you also need to turn in money ($5) for lunch at Trine. The 8th grade boys soccer game against CN tonight is a home game and will be played at 5:00 pm. 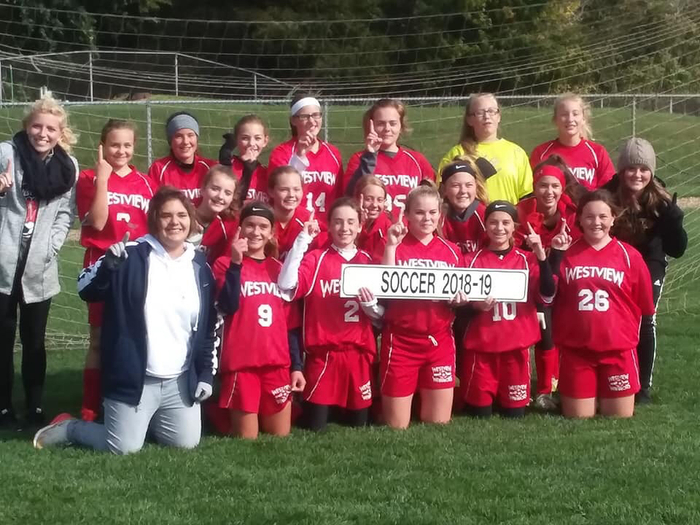 NECC: Varsity Girls Soccer will play @ West Noble on Thursday @ 5:00. GO WARRIORS! NECC: Varsity BSC will play @ Central Noble on Thursday @ 5:00 in the consolation round. JUST A REMINDER THAT WESTVIEW IS A NO PET CAMPUS FOR ATHLETIC EVENTS. Thank you for your cooperation. Sophomores will order class rings during lunch on Friday. Juniors & Seniors: We have Manchester University visiting on Wednesday. Next week we have Franklin College, Purdue Fort Wayne, Indiana Wesleyan and Anderson University. If you are interested in meeting with the college rep, sign up in Student Services. Soap Sales are due tomorrow!! Please plan on turning in your forms and money in the morning! Questions? See Mrs. Jansen. SENIORS: Please remember that the Lilly Scholarship is due tomorrow (Wed) at 5:00 PM. Please see Mr Yordy immediately if you have any questions or concerns. Good luck!! Westview schools are on a two hour delay. Thursday, September 13, is the last day to buy a sports pass until basketball season. HS Grade Recovery in room 305 tonight from 3:40pm - 5:00pm. Lost and Found is located in the stairway outside the front office. If you are missing water bottles, lunch bags, books, clothing, etc. please check the organized boxes in Lost and Found. Sophomores: Please pay your class dues to Mrs. Klaassen. If you’re not sure if you paid them, please come and check. NHS members: Check your email for information about ordering t-shirts. Also, don’t forget your commitment form and $10 dues need to be turned in to Mrs. Harrington today. AND we still need a few people to work concessions for the second soccer game on Thursday, Sept. 13th. Seniors: Pick up your order form for class shirts in Student Services or the main office. Orders are due next Friday. See Mrs. May with questions. If you are doing a winter sport NOW is the time to get your physical done. There will be a call out for anyone who wants to volunteer for the annual Special Olympics kick off. Meet in room 154 during activity period. Theater Club meets tonight at 3:35pm in the Auditorium. Athletic Change: The 8th grade boys soccer team will play first tonight and the 7th grade will follow. GREASE: Rehearsal for Thursday has been cancelled. The first rehearsal for everyone is Friday night from 5-8pm in the choir room. Juniors and Seniors: If you are taking Trigonometry or Calculus for dual credit, your payment is due to Purdue Fort Wayne this Friday (September 7). Please see Mr Yordy immediately if you have questions!! JH Sport Pictures are Wednesday, Sept. 5 after school. Make sure you have your form & money with you. Yearbooks ordered from 8th grade Amish that graduated last year and seniors can be picked up in the front office. Dance Team Tryouts Sign-Up Sheet - in front office Tryouts will be held September 25th @ 5:30 pm upstairs in the big gym. STUCO and Seniors: Tomorrow is another day to turn in your soap orders. Turn orders into Mrs. Jansen (rm 131). Please remember to have the money with your orders. Checks should be made to Westview. September 12th will be the last day to turn in your orders! Girls XC takes 1st at Marion Invite! 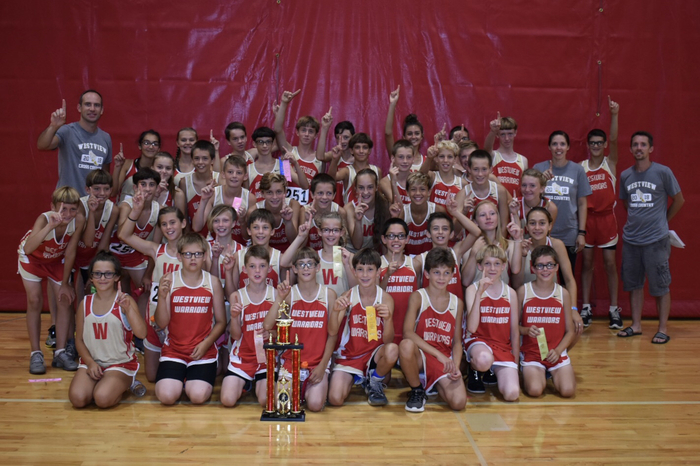 The Westview JH boys cross country team won the Manchester Invitational for a 7th consecutive year! No School - Monday September 3rd! Juniors & Seniors: We have 6 college reps visiting with us over the next two weeks: Wabash College, Trine Univ, University of St. Francis, Grace College, Valparaiso Univ and Manchester Univ. If you are interested in meeting with them, stop by student services and sign up! Attention all JH students: Next Tuesday, Sept. 4th will be the first day of Grade Recovery. Stay after school for extra help on homework and/or to make-up tests and quizzes. A teacher will be present each week. You can ride the shuttle bus if needed or have a parent pick you up. This is a great opportunity to keep your grades up and gain confidence in your skills. NO practice tonight for 8th grade boys soccer. NHS applications are due today! Yearbooks will be distributed today in 7th period! Students who graduated last year, or were promoted in 8th grade, can pick their books up in the office on Thursday. We will have a limited number of books that will go on sale in a week on a first come, first serve basis. 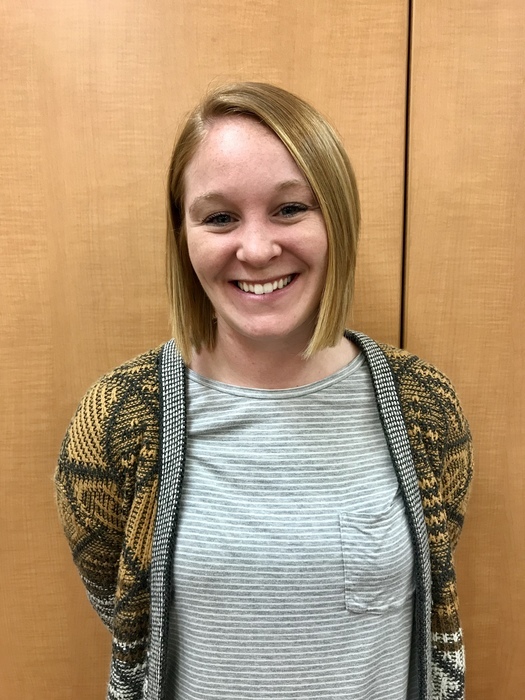 Welcome, Mrs. Kaija Kauffman as our new Family and Consumer Science teacher! Our First Spirit Day Is Friday!- Students and staff wear your favorite college game day t-shirt. If you received a letter and would like to apply for National Honor Society, please see Mrs. Harrington for an application. Applications are due Wednesday. Please turn in your green demographics form and the gold health form by Friday. If you have lost them, we can reprint them in the main office. Juniors and Seniors: Have you ever had any interest in mentoring an Elementary Student? Nurse Tara is looking for PLUS mentors for this semester. Please stop by and see nurse Tara this week. High school Grade Recovery begins next Monday. This is a great opportunity to receive help with homework, whether it is math or a paper you are editing. Snacks will be provided. Seniors: You are encouraged to check THE BIN in Student Services. All scholarships will be placed there. Be sure to check out the Lilly Scholarship (due Sept 12). Also, if you are attending IU Bloomington, they have released the very prestigious Wells Scholarship. Sport passes are on sale in the athletic office. 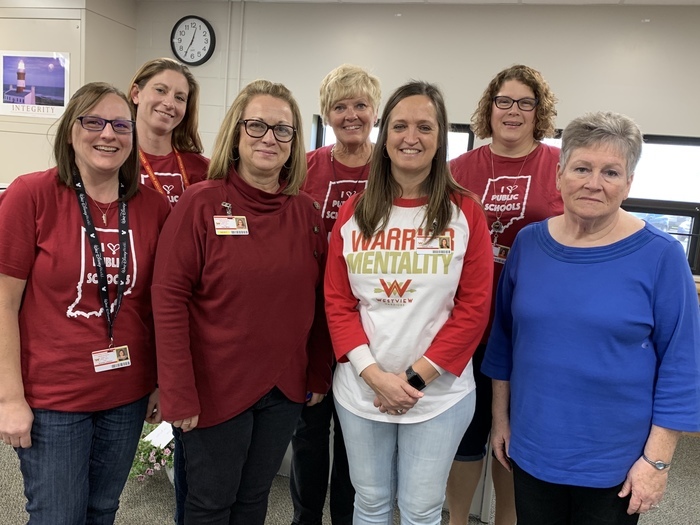 The Warrior Bookstore will be open Tuesdays through Fridays from 7:50am - 8:10am in the mornings and is located next to the athletic office. We carry items such as gum, pens/pencils, composition notebooks, book covers, Westview lanyards, erasers, lead, folders, etc. Students who drive to school should remember to drive with caution at all times and SLOW DOWN! Students driving erratically will have their driving privileges revoked. Auditions for WV’s Fall Musical, GREASE, will take place on Aug 27 and 28 in the choir room after school until 6:00 pm. If you are interested in auditioning, see Mrs. Hamm for an audition packet. This is for students in grades 9-12. Seniors: We have many colleges coming to visit (Ball State, Purdue, Wabash College, Trine University, Valparaiso University). If you are interested in meeting with a representative from the college, please sign up in Student Services. Wednesday is the last day to change schedules. The 8th grade boys soccer team wins the Lakeland Christian Academy Tournament! Please make sure any lunch money that is turned in is in an envelope with the student’s name, ID number and the amount that is included. Thank you! A reminder to parents: Students who are dropped off before and after school MUST use the auditorium doors in the south parking lot. The front parking lot is for bus traffic only! Thank you as we implement this change to make everyone safer. Sport passes are on sale from August 6 to September 13. They will be sold Monday-Friday in the athletic office from 8:00 am to 3:15 pm . *Family Pass is $160 and includes parents & Westview students in grades 1-12 *Student Passes are $30. *Adult Passes are $65. We’re looking to immediately fill the 8th grade boys soccer coaching position. 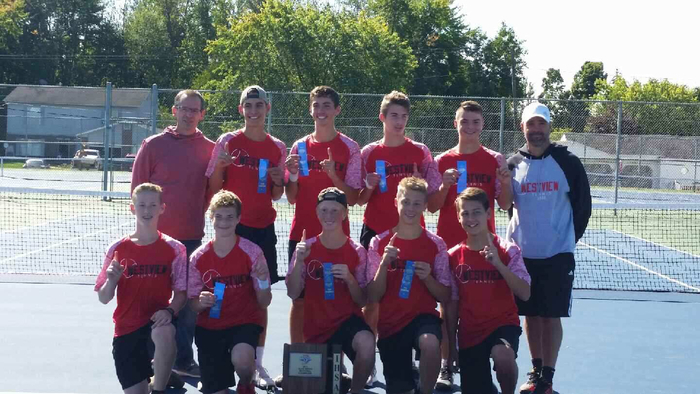 If interested, contact Darlene Matthew at 260-768-4146. Please note important PARKING LOT CHANGES for the start of the new school year. The FRONT parking lot will now be for buses and staff parking only. All student drivers will park in the south parking lot, which is also where parents will drop off in the morning and pick up in afternoon. We thank you for your cooperation with this change that will help to make our students safer. The application for the 2019 Lilly Endowment Community Scholarship for LaGrange County residents is now available! Apply online at lccf.net/lillyscholarship. The deadline to apply is Sept. 12, 2018 at 5 p.m.
2018 Graduates: Your Google Apps account will be suspended. You will lose access Google Drive Files associated with your Westview account. Be sure to download anything you want saved before Friday! The Junior High Supply List is now available. Fall practices begin soon!! Be sure to have your physical completed or else YOU CANNOT PARTICIPATE! Seventh Grade Orientation will be Monday, August 6, at 6:30 pm in Wilson Auditorium.